US President Donald Trump and his spokesperson Sean Spicer, have chastised US media outlets, accusing reporters of understating the numbers of supporters present during the inauguration. 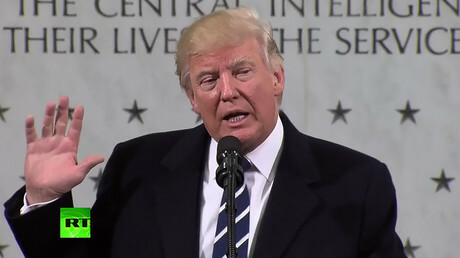 Visiting the Central Intelligence Agency headquarters in Langley, Virginia, Trump said that one network had estimated a turnout of 250,000 at the National Mall. "I made a speech. I looked out, the field was, it looked like a million, million and a half people," he told CIA staff. "They showed a field where there was practically nobody standing there. And they said, Donald Trump, did not draw well." Trump claimed 250,000 gathered at the stage area while the rest of his supporters stretched over "20-block area," all the way back to the Washington Monument. The Joint Congressional Committee for Inaugural Ceremonies distributed about 250,000 tickets for Trump's inauguration. However, most onlookers go beyond the ticketed area to watch proceedings from the National Mall. During the ceremony, news outlets started comparing side-by-side shots of Friday's ceremony alongside the 2009 inauguration of Barack Obama, noticing the sharp contrast in crowd numbers. The images used showed a significantly smaller crowd on the National Mall for Trump's event than for Obama's oath ceremony, where in 2009, it’s believed some 1.8 million people attended the inauguration. The exact size of the crowd for Trump's inauguration will most likely never be known, as the National Parks Service stopped providing estimates in the ‘90s. But whatever was reported on Friday, Trump called a "lie." "So we caught them and we caught them in a beauty and I think they're going to pay a big price," said Trump. Later in the day, the new White House press secretary, Sean Spicer, accused the media of "deliberately false reporting" on the crowd’s size. Following the criticism, media outlets had to do some fact checking. A number of agencies, including the Associated Press, concluded that Trump's estimates are wrong. "Trump is wrong. 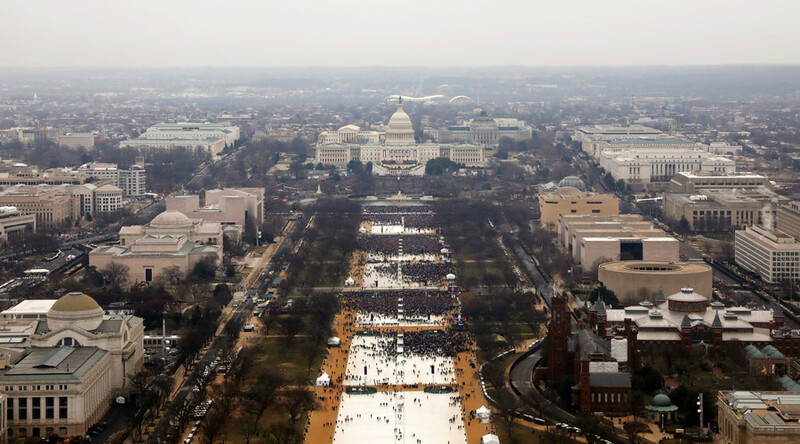 Photos of the National Mall from his inauguration make clear that the crowd did not extend to the Washington Monument. Large swaths of empty space are visible on the Mall," AP said. AFP sad that Trump "falsely claimed there were people stretching from the steps of the Capitol, where he spoke, along 20 blocks back to the Washington Monument." In addition to using photos as evidence, AP reported that hotels across the District of Columbia reported a lot of vacancies. Statistics from Washington's Metro system was also cited. By 11 am. EST on Friday, only 193,000 trips were taken, while in 2009 that number stood at 513,000 trips. Even at Obama's second inauguration in 2013, the number was higher with 317,000 people taking commute. Separately Nielsen Holdings, a global information measurement company revealed, that some 31 million US viewers tuned into 12 broadcast and cable networks on Friday to watch Donald Trump take the presidential oath. The top three included Fox News Channel with 8.43 million viewers, NBC with 5.8 million, followed by ABC with 4.9 million. Trump's inauguration event views however, beat Barack Obama's second inauguration viewership figures when 20.6 million watched in 2013. Trump failed to top Obama's first inauguration in 2009, witnessed by 37.8 million people.